Happy New Year! 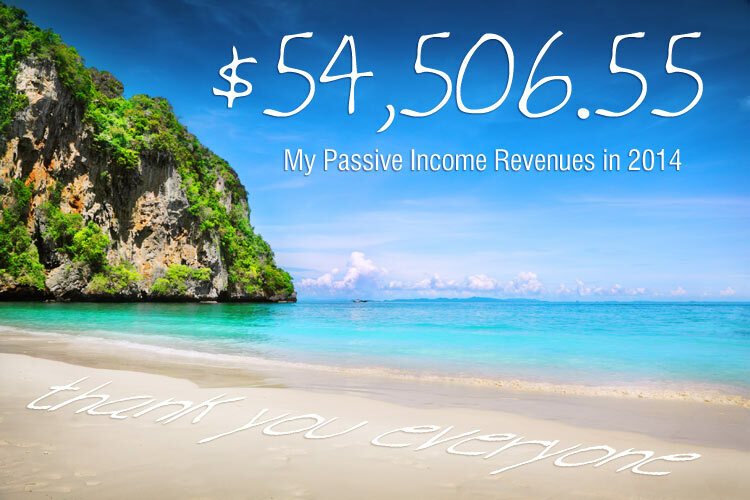 Every three months (at the end of March, June, September and December) I report my passive income earnings. And now that we’re at the end of the year, I can also look at how my business is progressing year on year. 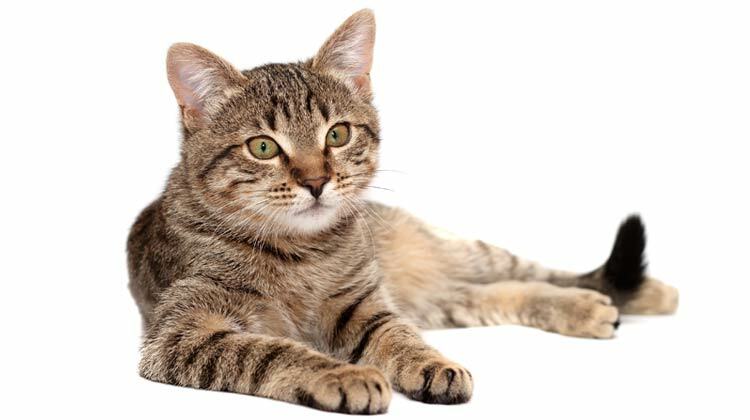 Why the image of a cat? Why not! Earning passive income means building assets that, once created, will earn revenue for months and years into the future without any further work. My passive income comes mostly from digital product sales, but also from affiliate commissions and advertising. I was flabbergasted when my first client had found me online. That was 2006 and it seems like yesterday. However, I always wanted to move away from swapping my time for money. My target for the last quarter in 2014 was $20000. Let’s see how I got on. Wow! I’m averaging over $5000 per month on Udemy alone now with a total of $15,473.59 this quarter. I actually made over $6700 in November, helped by the Black Friday and Cyber Monday promotions. Skillfeed is another online learning platform run by the Shutterstock people. It’s similar to Udemy but has less traffic and pays less. I have to estimate the Skillfeed earnings as I get the figures later. But it seems as though I’m getting about $1000 every quarter. $4000 a year is not bad for a completely passive income stream. Making money from Amazon Kindle is a tough gig. For each book sale you will make $2 whereas with video courses you can make much more per unit. However, self-publishing is great for building an authoritative personal brand as well as providing another profitable passive income stream. I had another successful launch of a new book in this quarter. Plus I was involved in a Buck Books promotion. You can see the sales and the borrows (the blue line below is borrows and the red line is sales) in the above chart. New releases and promotions cause a lasting effect on daily sales. I sold 1662 books this quarter compared with 1229 books in Q3 and 478 books in Q2. It’s still not a lot of money but the trajectory is pleasing. Anyway, I’m really pleased with my Kindle sales in Q4 2014: $2410.45. I have been selling e-books from my site since 2011. I don’t promote them much nowadays as I’m more committed on selling e-books on the Kindle platform. In its first quarter my membership site netted me $331. In the second quarter, we’re on $974. This is revenue from ads on my YouTube channel as well as Adsense here on my website. I am an affiliate for certain products that I recommend or mention here. I get a commission if a sale is made through one of my affiliate links. WordPress Multi-Lingual plug-in had a good quarter! Nice to see that I’ve done over $20,000 this quarter which was my target. It was only two quarters ago that I exceeded $10,000 a quarter for the first time. Such is the way of passive income. How many times do I have to say it: it’s scalable!!! This year I earned a total of $54,506.55 compared with $15,803.90 in 2013 and $8,553 in 2012. In my review of the year 2013, I’d originally set my 2014 target at $30,000. I was called out by my friend Matt Ogbourne for being too unambitious and I raised it up to $50,000 – thanks Matt. You see, aim for the stars! Remember: this is passive income – the earnings will continue to flow in the months to come even if I retired tomorrow (I won’t). I still have time to work for clients (although I do less of that now and I outsource a lot of it). But, also remember, this is the revenue. What about the costs? I haven’t yet itemised expenses in these quarterly passive income reports. This has been because, frankly, I never spent much money setting up these streams. Most of the money I spent was on hosting and email marketing – and that money would have been spent anyway for my web and graphic design business. I have spent anything on advertising (OK maybe a smidge). However, I’m spending more on outsourcing (video editing, e-book proofing and creation, web development for the membership site, etc.) these days. Plus, in January, I’m hoping to get a full time virtual assistant. So, for this quarter my expenses would break down like this: Hosting is $100/month. Aweber is $50/month. And adding the outsourcing, I expect my expenses have been just shy of $1000 this quarter. Which means my passive profits for the quarter are still in excess of $20,000. My target for next quarter, Quarter 1 2015, is: $30,000 passive income profits. My target for 2015 is to make $150,000 passive income profits. Don’t worry, if I make these absurd amounts, I’ll still tell you exactly how I do it. Reach for the stars, my friends! All this has been done with a blog, an email list and a few digital products. Anyone can do this. Everyone has expertise that they can sell online. You can do it. But not now, first you’ve got to leave a comment. I am totally inspired to start my site, write my book and start my course after seeing your amazing results Rob. Thanks a lot for sharing. Wish you a great 2015. I’ve been following your blog for almost a year now, and am happy for your continued growth. I’m also following a similar path, and it’s quite helpful that you are so transparent with your business. It gives others the ability to model your success. Best of luck with your 2015 goals! Yes, one day I’ll run out of random cat pictures and have to start with dogs. Thank you for sticking with me for most of the year, I hope you stay with me for much longer and we can grow together. Best of luck for 2015 as well! There will never be a lack of new cat pics. Cats run the internet. They just can’t spell it. Way to go Rob! You are living proof that it’s possible to use what you know to create multiple passive income streams and you’ve certainly inspired me since we first met! Your honesty and transparency makes you the equivalent of the British Pat Flynn. Awesome work my friend, I think you’ll smash your 2015 targets! So glad I’ve inspired you as you’ve inspired me, David. I hope your Udemy endeavors are going well. Thank you for the high praise indeed! Good lad on making the target! Just came across your site. Thanks for sharing your income streams. It really helps to get a grip on the neighborhood of how much someone can make doing each of these things. Been really thinking about getting into udemy lately, and to see you doing well there really gives me a push in that direction. Thanks, Travis, I hope you stick around and get more value here. I hope these income reports push you in the right direction. 🙂 keep rocking, Jay, I’m so glad to be called an inspiration! Thank you for sharing your knowledge and all the best for the new year. Hello Aniko, welcome. Thank you so much for your interest in my content. I’m so glad to inspire you and I’m glad you find my stuff easy to understand – that’s good. Please stick with me as there’ll be more good material to come, I hope. It’s nice to be called a role model, Philippa. I’m glad you find the income reports helpful. Awesome work Rob. Very inspiring and sounds like your hard work is paying off. There are so many opportunities out there if you are willing to make the time. I’m planning to do some of this stuff in 2015 myself. Hey Mark. Best of luck in 2015 and don’t forget to ask me any questions if you need any help. Thank you, Robb for the really inspiring report! I’m starting my first blog this month plus new Udemy courses, it’s a great kick-start inspiration for me. Best wishes for your next projects! Best wishes to your for your upcoming projects, Snehal. Thank you for commenting. hmmm… makes me think about what more I could do, and again about how much I could be making, This was quite inspirational… thanks! Nicely done! This is really an inspiration to me, I will follow your example by setting a goal every quarter and topping it up by the next one! Thank you for sharing this, you really help me motivate! Great job Rob! I really need to kick in gear for 2015. I’m brainstorming a course for Udemy right now. Go for it, Nathan! Best of luck and let us know how you get on. thanks for sharing Rob, its really interesting to see different ways to make money without just doing the day job (web dev). Latter this year I’m going to follow your lead, but in a slightly different way (I’m planning on developing a couple of websites that will hopefully generate revenue). nice, but what please, then, were the annual expenses? As I say in the article, d, expenses should be about $1000/quarter but I’ll go into them in more detail in subsequent reports. I subscribed not too long ago on your membership site. Judging from your videos I have watched, I can call you my role model. Go Rob, fly higher. Am currently designing my website after the motivation I got from your courses. I say you will make more than 150,000 it is all based on believe and hard work. Thank you very much Robb for your fantastic videos on youtube and great information here. You’re most welcome, Halil, I’m so glad you find the videos and content here useful information. And, glad you find the suggestions inspiring. That makes me happy! 🙂 Thank you. Brilliant, Rob and well done. Thanks so much for sharing these figures with us and for showing us the path. Really helpful to see your journey and hear your story. Hey Julian, how are you and your better half, Kathryn? I’m so glad the details of the journey and the story are useful and I’ll continue to divulge everything. Thank you so much for your comment. This is terrific, Rob – thank you for sharing with us. Does your membership site offer the same videos that are on Udemy? Hi Tom, thank you for the comment. It’s my pleasure. Congratulations on your success, very inspirational. Thank you for the motivation. It’s a pleasure to be described as motivational, Charlene, thank you. Appreciate your simple straightforward way of message. Do you get into specific gear needed for selling videos on Udemy.? Thanks again for your post and sharing information. Awesome Rob!!! Thanks for sharing your’re income report. You’re an inspiration!! Glad to inspire you, Jerome, I hope you create something special this year. Nice to see you have been going great with your own way. I’ll be doing VDO course in Udemy this year too, not sure how it will going. Well, talk soon. Hope we can meet at DC again this year. Hey Raweewan, it was great to meet you in Bangkok last year and if you have any questions about Udemy please ask. Remarkable!! Its amazing whats possible. But can one really achieve even a miniscule fraction of this without design and general online skills that will take a life time to acquire? (say $5k a year) what do i need to do and what is the minimum cash i should budget for this in my war vault. Finally can one really ( i mean really really) make a full time income from this? Thanks for the inspiration! I will follow your steps, one by one. Part one today! Hey hey, that sounds good, Eva! I just found your email in my junk folder and immediately set it as not junk. I have always appreciated your comments and insights. I thought I would mention something that was annoying to me because I kind of think I owe it to you and I think you might welcome a critique if it might help you improve your web site. The critique has to do with that little social media bar on the left. It gets in the way of reading your astute comments. It’s annoying and I haven’t discovered how to make it disappear. It’s fixed and sometimes some more of the same pops up over your articles horizontally on left side. (above the vertical bar. I’m just starting to get into Captivate in order to build some tutorials on WordPress. Is there an elearning software package you can recommend? Hi Tom, I’m glad I’ve made it out of your junk folder! Thank you for the advice on the social media bar on the left. Before I get rid of it, can you tell me what device you are viewing the site on? I have a Macbook pro attached to a big screen about 1900px, and I use Chrome browser. It seems OK now as long as it stays to the left of the content and not on top of the content. I’ll look into screenflow. Captivate is an Adobe product. I tried it out but it had some issues on my Mac. I always wonder if Udemy and Amazon make a good combination because you could write a book for Amazon, and then make a video version of the book and sell it on Udemy. This is very inspiring! Nothing really beats earning by doing something you love. It gives the job a whole new meaning and it becomes less of a burden. I always get jealous of others, in a good way, who have done so much. It makes me think if they can do it, why can’t I? And it motivates me to actually do something and make a move! I agree “nothing really beats earning by doing something you love”. Of course you can do it, Elvis, it won’t take you long. This is great Rob! Finally had a chance to read through this report. Your trajectory is amazing! 2015 is going to be an exciting year for the both of us! Indeed, Phil. Looking forward to it. Hi Rob – really informative account of all your revenue streams and I’m now looking into Udemy to create a course. I never have heard of this site before. I quit my job just before Christmas so that I could have more time to focus on myself and begin to grow my own business, I’ve been into personal development and online marketing for a long time, it’s what I’m passionate about and so I’d love to be able to turn that into a full time living. I set up a Meetup group recently called ‘Escape The Rat Race…..within 12 months’ – and we share lots of opportunities and ideas within our secret Facebook group. In fact it was one of the members who sent me the link to this page, so I will indeed be sharing your site with the rest of the group for inspiration and ideas. Thank you for your comment, Christian, and best of luck with your own business in 2015. Setting up Meetups and online groups can be an excellent way to “mastermind” your ideas and talk about business. I appreciate all the shares! Hey, Rob. Very inspiring! Good luck with your 2015 goals! I wish you all the best for this year! What’s your opinion on achieving passive income in another language? So if your first language was a language spoken by e.g. 10 mil people, what do you think your earnigs would be? What would you do to diversify your sources of income to achieve more? Or maybe, would you consider outsourcing your content to a native english? Also, I see a lot of people on Udemy who are not native speakers and have a very strong accent. Do you think that this fact has a negative impact on their revenue? Thank you and, again, best of luck with all your plans! Hello, Stella. Thank you. I’m so glad you found it inspiring because that’s one thing above all others I like. Well, other languages can be great (smaller market but less competition). Udemy is expanding into many, many languages. They probably already do Greek. It depends on the language and the subject of the info-product. Spanish, Russian, French, etc., have large markets. Greek would be smaller but that doesn’t mean it’s not worth trying. I’m sorry, I don’t have the absolute answer. But, with video courses, I would try and make it very general. And, I’m not sure about the accent but I think choosing your words carefully so you can be understood by everyone is very important and native English speakers make this mistake all the time by using slang! Very impressive growth from the last time I visited your blog. You are doing so much at once and still manage to maintain this blog, that’s what I need to learn from you. Wow… Passive and scale-able, it doesn’t get any better than that. I am totally inspired and a little intimidated (is it possible to be both?) by your passive income report. It’s amazing. I’m a newbie to blogging and you’ve given me a lot of stuff to think about. Don’t be intimidated, Diane. It happens if you stick at it. Trust me! Thanks for the comment. Hi, I just now visited your site , Mind blowing income reports. Very inspirational to every blogger. This post makes me again to think about blogging, Udemy is also a powerful platform for affiliate marketer and instructors. I would be interested in how much of your time you have used to create this passive income. Are you spending 40 hours per week?